SpecialEyes’ custom spherical and custom toric contact lenses are a great option for patients seeking contact lenses for astigmatism or extreme hyperopia or myopia. Our custom soft contact lenses can accommodate refractive errors up to +/- 25.00 diopters in the sphere power and up to -8.00 diopters in the cylinder power. The wide parameter range and fine incremental adjustments enable optimum vision correction for those hard-to-fit astigmatic patients. All SpecialEyes custom toric contact lenses are back-surface prism ballasted and come standard with 1.0 diopter of prism. Custom toric contact lenses have markings located at 3 and 9 o’clock. • Package Insert, and Wearer’s Instruction Guide. Read this article about custom soft toric contact lenses versus off-the-shelf toric contact lenses. Do you ever struggle to successfully fit multifocal or multifocal toric contact lenses? Maybe that minus distance over-refraction dramatically improves distance vision but ruins the near vision your patient loved. Or, you increase add power to improve the patient’s near vision but cause distance vision to suffer. Because of these past experiences, you may have found multifocal and toric multifocal lens fittings to be painful and time-consuming. We understand how you feel when a presbyopic patient or astigmatic presbyopic patient presents to your practice seeking a viable alternative to reading or progressive glasses, and we’re here to help. 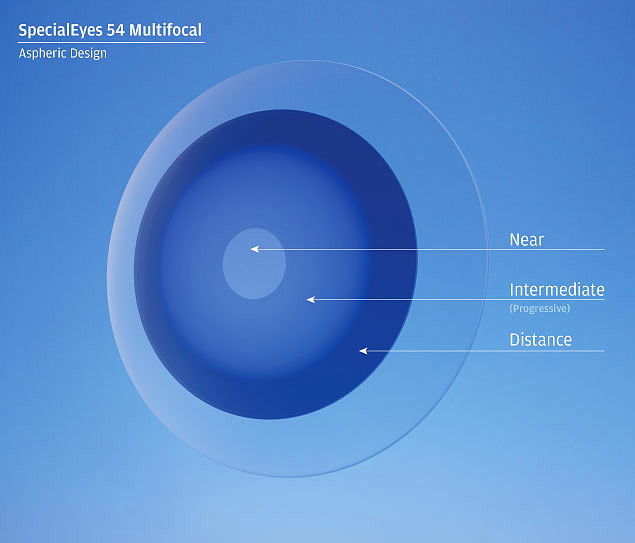 SpecialEyes’ complete line of custom multifocal and toric multifocal contact lenses are available in toric or sphere, with add powers up to +4.00 diopters and quarterly replacement. 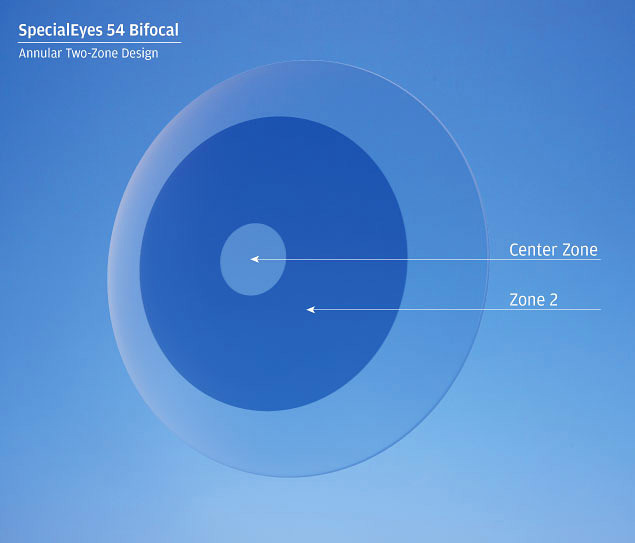 All SpecialEyes bifocal and multifocal contact lenses, including multifocal sphere and multifocal toric contact lenses, are manufactured from high-performing hioxifilcon D 54% material. For more information on this material, download the Package Insert, and Wearer’s Instruction Guide. Gently rub; don't scrub. SpecialEyes lenses are not meant to be "scrubbed." A light digital rub is fine; but avoid excessive scrubbing, which can tear the lens. When preparing to insert a contact lens, carefully pour the lens from its container into your hand. Do not use fingernails or tweezers to remove your lens from the case. When removing a SpecialEyes lens from your eye, you should first apply a rewetting drop and then gently slide the lens out using the pad of your finger.